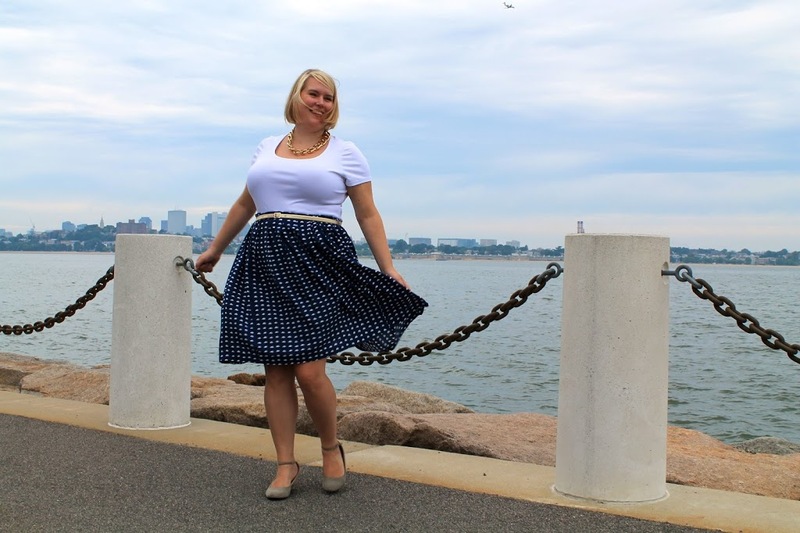 In the summer I just want to wear super-comfortable cotton skirts… but if you’re anything like me, skirts with a waistband are just a bit pinchy when you sit down. Yep, I spread – and my waistbands need to, too. So, I decided to use some of my precious large gingham seersucker cotton from Japan and make a comfortable pull-on skirt with an elastic back- and I have an free elastic back skirt tutorial download for you! The awesome thing about using elastic just on the back of the skirt is that you still have a flat front waistband, which is a touch more sophisticated (though don’t get me wrong, I can manage elastic all the way round, no problem), while you still have max comfort. I also have a technique for stopping the elastic twisting around that you can check out in the tutorial download. 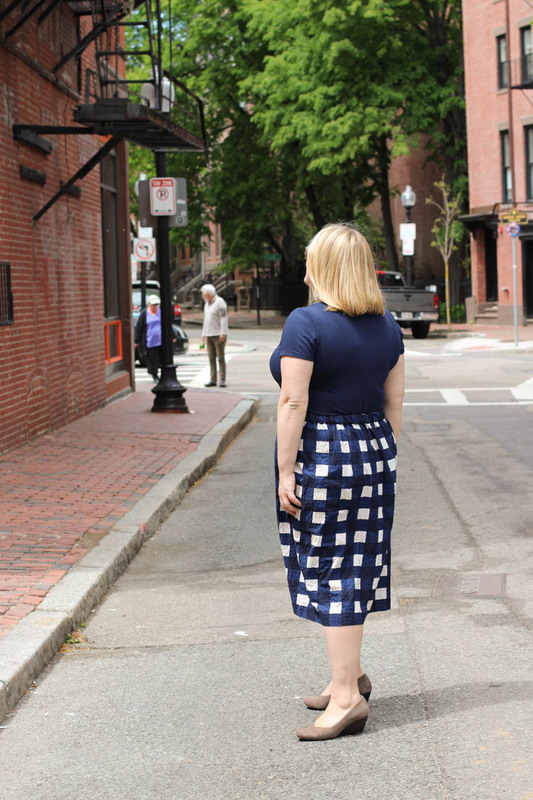 To make this a super easy project – and to avoid having to pattern match gingham on diagonal seams – this is a really simple gathered skirt, with a rectangular waistband. 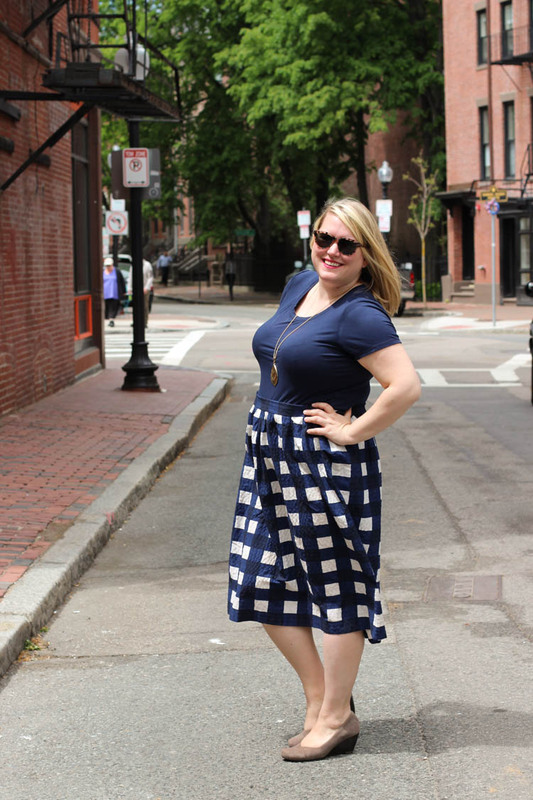 But you could certainly use the same waistband approach on a more shaped skirt if you’d rather. Lemon and grey and twirling, oh my! What fun! Thanks so much for sharing! 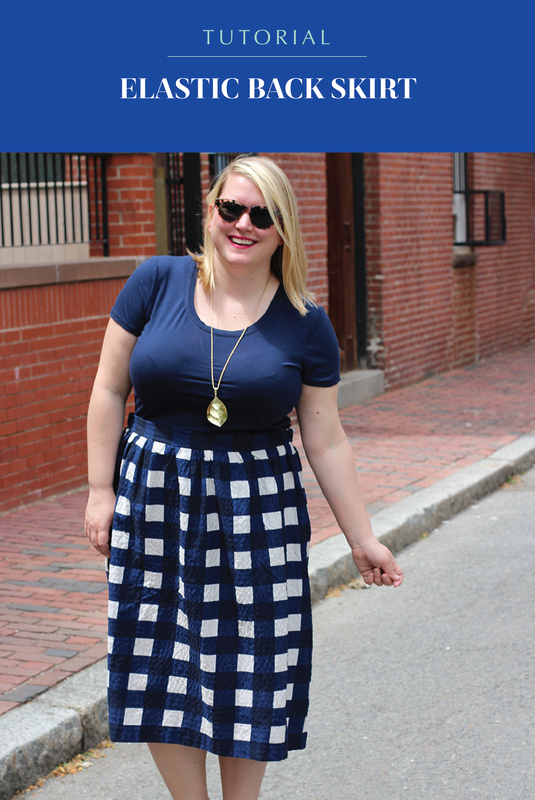 I am all lightweight-knit-cotton circle skirts with exposed elastic waistbands for the summer. I might tend towards being a lazy seamstress so they are perfect for me, but I have been wishing for a pattern that would work nicely with woven fabrics. I’d love to see some you’ve made! 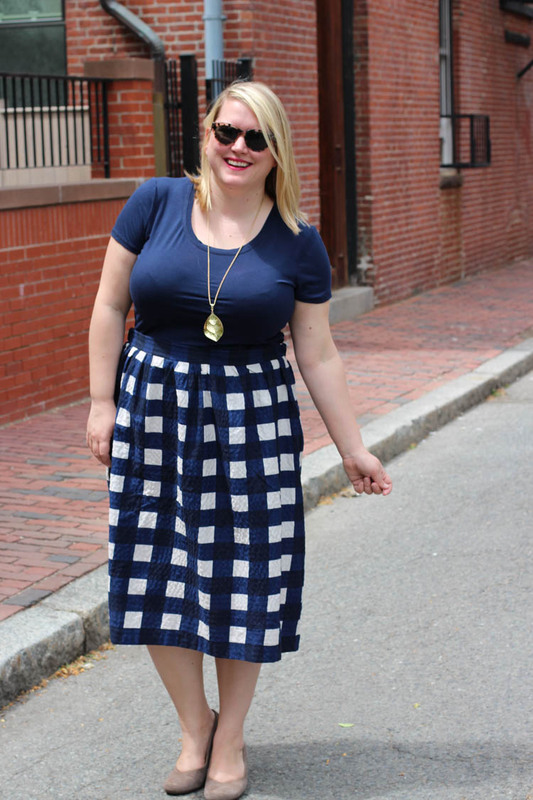 I’m a plus size and intimidated with wearing the full circle skirt. Do you use smaller elastic or the 2+ inch? I think the larger would fold over on my waist. The fabric is beautiful! Did you actually go to Japan to buy the fabric? Or is it available in one of the onlne stores? Thank you so much for everything you do Jenny. You are making an impact in the world. Hi Mary – I did buy this in Japan but I’m doing a post soon on where to buy Japanese fabric in America so keep a look out for that! Brilliant! Can’t wait to try making one (or a few) for myself! I received the tutorial, but can’t open it. Is there anyway this could be put in a pdf format? I don’t use Outlook or Windows Media mail to open my email, and this file wants to use one of those programs. This looks so smart and I love the fabric also. Thank you for all you do. Received your tutorial, can’t wait to try it. Thanks. Love your skirt. I am always trying to figure out the issue of being able to sit down without the garment fitting too loose. I came across a pair of Eileen Fisher plus pants that really intrigued me. They had a zipper, darts, (two in the back and one in the front) and an elastic. I thought this was brilliant. Easy to get on with the zipper, fitted with the darts and you can sit down with the elastic. I went back to the store a second time to see how the waist was made. The waist was part of the pants and the darts were sew into the “waist band”, the fabric was thin enough to accommodate folding the dart over without too much bulk. The elastic was sewn into the folded over waist band. I guess you could also do this with a separate waistband. I am going to try this too. YES! 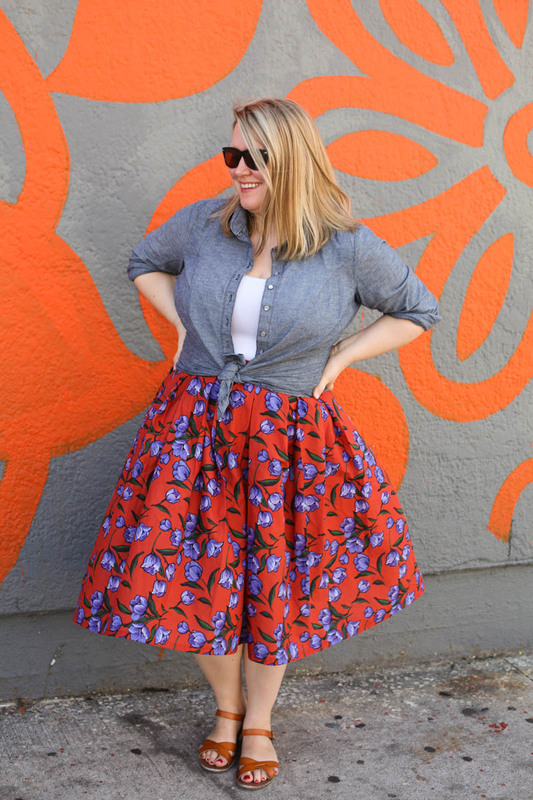 Thank you for sharing this, I’ve been wanting to make everything I own into elastic-back waistbands, after buying a pair of retro shorts from modcloth that feature an elastic back band. It’s SO much more comfortable! I did not get the download at all. Bummer. There’s a link to download it in the “welcome” email that you get, after you confirm your email address. Your skirt is stunning! And I’d have happily paid for the pattern, it’s exactly what I’ve been looking for. Looks so easy,but I’m at a loss as to how to work out the amount of fabric I will need..
Well it will vary depending on your size and the length you want, but assuming that your skirt is less than 45″ wide (your hips are less than 85″ or so), and you make it around 29″ long, you will need under 2 yards. I used this tutorial today. I really need to learn to read instructions better. Used my waist measurement for both the front and back waistbands so I ended up having to cut a second back waistband. 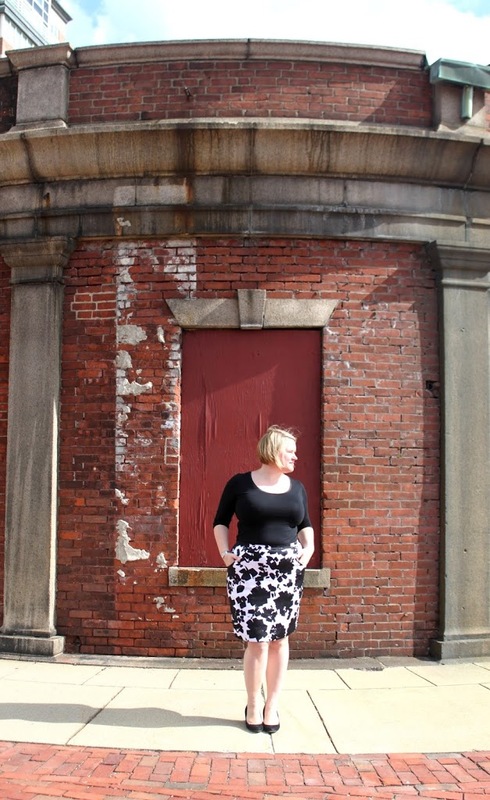 That said – such a cute skirt! I love skirts with elastic backs. It came together so quickly and I will definitely be using the tutorial to make a second one. Thanks Jenny! Glad to hear it worked well for you after the little snafu! What I appreciate most about a pattern like this is the flat front and the comfort of the elastic back. With my shape, it will make wearing it very possible. I also love the fact that I can customize the length for this plus-petite shape of mine. Thank you for creating this idea, sharing how you thought through the process and made it possible for someone to follow in your path. This will be a great stash buster. Add your flat lining technique and I have a couple of new skirts for work. So perfect! Thank you. Hi, thank you so much for your skirt pattern and tutorial. Thanks for sharing the drafting information! That outfit looks really smashing on you !!! This is great. Can’t wait to try it. Any advice on adding pockets? I can’t live without pockets! I love this skirt! Would quilting cottons work well with this do you think? Hi – I signed up to get the tutorial and got the email to confirm my address but didn’t receive the welcome email with the link. I tried signing up for the newsletter too and haven’t received it yet. can you help me get signed up for the tutorial and newsletters? Thanks! I just received the welcome email, but I don’t see a link to the tutorial. Is there another way to get it? The link is in the email where it says “download here”. Hi – you’ll be sent an emailing asking you to confirm subscription, and then a welcome email – in that email there’s a link to download the tutorial. Thank you for the tutorial! A sewing newbie question: what kind of elastic did you use? I made a skirt last night and struggled because when cut according to the formula in your tutorial, the elastic I used (Dritz 1 inch wide “knit non-roll”) would not stretch to the full length of my skirt back. I had to add 2-3″ in order to get the elastic to fit. The skirt still looks good, but it’s loose around the waist. I’d love to make another one that’s a bit snugger, and am wondering if there’s another kind of elastic that stretches more? Thanks! There isn’t a particular brand of elastic I use, but I’d expect most elastic to stretch at least 25 – 30%. The elastic I use for these types of skirts is capable of stretching quite a lot further than it is in the skirt. Hmm, in the tutorial it says, “to calculate length, measure your front waistband width, multiply by 0.75, then subtract 2 inches”. My front waistband is 21.5″, and my back waistband is 28.5″. When I take 75% of the front waistband and subtract 2, that gives me about 14.25″. That ends up being only 50% of the back waistband, and the elastic won’t stretch that much. Should I instead be taking 75% of the *back* waistband, and subtracting 2 inches? You’re adding those 2 inches back in with the woven tabs you attach at each end of the elastic, as described in the instructions. Second, it’s correct that ultimately the back waistband will be the same length as the front, when the elastic stretches. So first of all — I probably did get the link back whenever it was I first subscribed — but can’t find it now — what’s the name of the pdf file? (I should probably have renamed it “Cashmerette Elastic Back Skirt” so I could find it LOL) So I’m trying now to “subscribe” to get it again, like you say — but when I do — well your website “thinks about it” and then the email box reappears with a red line around it — and I’ve got nothing by email — so I’m assuming the site recognized that this email is already subscribed & not interested in duplicating????? Suggestions???? The email you were sent contains the info shown at the bottom of the blog post (if you check it again), and has a link to click for the download.